What crime did Walter Scott commit to warrant his execution in Charleston, South Carolina? We’ve seen the video; the cruel, cold and callous manner in which he was shot multiple times in the back. There was not even a rush to check on the victim’s condition by the police officer who casually walked over and planted a device upon the body. The shooter was not seeking to defend himself, he was not in danger, there was no crime behind the detention of Walter Scott. 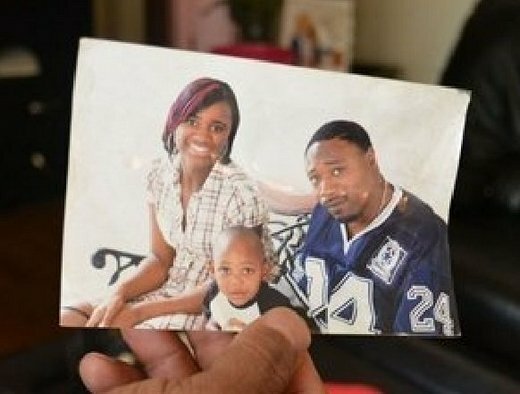 Instead an American father was shot dead because of a money debt called “child support.” And the killer had a badge under an oath to protect the public. But who or what was he protecting here? There will be those, publicly or privately, trying to downgrade the incident by noting that the victim was defying a police directive, he was fleeing the scene and could have sought recourse in a court of law. But this particular victim had three strikes against him: his race, gender and parental status as a father. Had the detainee been a white mother in debt, she would not have been shot dead. As for recourse, Walter Scott had none. For starters, he would have been sentenced to a debtors’ prison even though such draconian practices have long been discontinued. We all know of fathers who have fallen behind in support obligations because of a job loss or inability to secure the kind of income a well paid judge thinks he can get. Fleeing the scene may have been this father’s best chance at justice or freedom. It’s all part of a growing crisis being fomented by an antiquated divorce and family court system which has placed money over the genuine interests of families. The victim’s children here lost much more than “child support,” they forever lost their dad. Homeless fathers remain an overlooked by-product of this dysfunctional family court system. As an accomplished civil rights attorney for more than 23 years, I predicted events that are now occurring. In 2010, I sponsored a forum to receive testimony from family court victims for a report to the Justice Department. It was triggered by a white police officer who committed a murder-suicide after leaving support court, leaving three children without parents. One month later, a black war veteran was mistakenly gang tackled by the same police department despite being a shooting victim at a domestic incident. Federal child support laws were a focus of this forum because lawyers, bureaucrats and third parties are being rewarded through incentive grants to the states based on the number and magnitude of support orders manufactured in their family courts. All sorts of schemes have been concocted to maximize revenues and fees at the expense of struggling fathers who continue to comprise 85% of support debtors. Despite hand-delivery of my report in Washington, the Justice Department refused to conduct an investigation. Meanwhile local operatives retaliated by targeting my law license and children. Ethics lawyers conducted a witch hunt but were fired in 2013 for falsifying their time sheets. No public charges were brought against them. A family judge assigned to my custody case was removed from the bench for admitting to sexual misconduct upon his handicapped five year old niece. In response to my public criticisms, his replacement then imposed conflicting conditions on my parenting liberties to make it impossible for me to father my children, let alone see them on risk of contempt. The combined retributions upon my First Amendment rights forced me to seek protection in Paris. In November, 2014, I filed an application for extraordinary relief before a federal appeals court in Manhattan, a case destined to reach the Supreme Court this year. I returned to New York after a threatened support warrant was never issued. One month later, I informed family court that I would continue to resist these draconian practices in the civil rights tradition of Martin Luther King. Extensive justification was provided last month in a 25-page report entitled “We Are Fathers.” It was designed to incite reform nationwide with warnings that violence would escalate. Emphasis was placed on veterans and minorities as the likely victims of arrest from these family court abuses. Again no one listened. The band played on, and today we see the horrendous consequence in Charleston. It begs the question: was the police officer acting alone when he killed Walter Scott or could we say he had an accomplice known as family court. Closer to home, I ponder how easily it could have been me resisting that support warrant. Pingback: Fathers Unite While There’s Still Time:Haven’t You Had Enough ! | National League of Fathers, Inc.